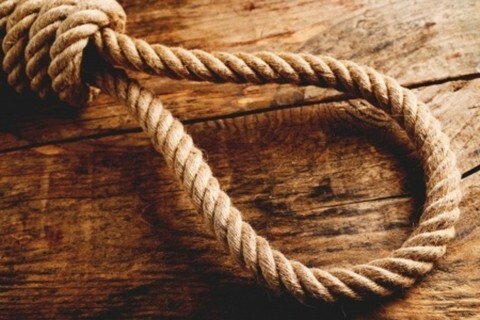 What Does The Bible Say About The Death Penalty or Capital Punishment? The issue of capital punishment, or the death penalty, stirs up many emotions, misunderstandings, and strong stances. There are many reasons for this; usually something has happened in a person’s life that makes the issue of capital punishment a very personal topic. Proponents often know of someone who has been hurt terribly by someone, and in these proponents’ eyes, the perpetrator deserves the death penalty. Opponents of the death penalty oftentimes think we are overstepping our authority by taking the life of any human, even a criminal. There are many logical arguments for and against the death penalty; however, let us look into the Word of God to see what it says about this controversial issue. Genesis 9:5-6 is often seen to be God’s final word on capital punishment. “And for your lifeblood I will require a reckoning: from every beast I will require it and from man. From his fellow man I will require a reckoning for the life of man. Whoever sheds the blood of man, by man shall his blood be shed, for God made man in his own image” (ESV). In other words, many see this passage as God’s command for capital punishment; a command not to be overruled by any other proclamation. However, opponents of the death penalty see this passage not as a command but merely as a description, or prediction, pointing out the consequences of living a violent life. The same could be said of Jesus’ words in Matthew, “For all who take the sword will perish by the sword” (v. 52 ESV). Was Jesus saying that anyone ‘taking up the sword’ should be put to death? Or was He saying that whoever chooses a violent lifestyle, in all likelihood, will be taken down by that lifestyle. Some opponents of the death penalty often cite Exodus 20:13, “Thou shalt not kill” (KJV)), as the definitive word from God that the death penalty is wrong. However, this verse is actually a prohibition against murder. It is correctly translated ‘murder’ in many other translations of the Bible. “Whoever strikes a man so that he dies shall be put to death” (Exodus 21:12 ESV). “But if a man willfully attacks another to kill him by cunning, you shall take him from my altar, that he may die” (Exodus 21:14 ESV). “Whoever takes a human life shall surely be put to death” (Leviticus 24:17 ESV). “Moreover, you shall accept no ransom for the life of a murderer, who is guilty of death, but he shall be put to death” (Numbers 35:31 ESV). “You shall not pollute the land in which you live, for blood pollutes the land, and no atonement can be made for the land for the blood that is shed in it, except by the blood of the one who shed it” (Numbers 35:33 ESV). The Law of Moses legislated the death penalty for many different acts against God and man. However, these instances of capital punishment were to be carried out by the authorities of the nation of Israel, God never sanctioned individuals to exact revenge or take the law into their own hands. Deuteronomy 19:11-13 prescribes capital punishment for premeditated murder; even going so far as to say, concerning the murderer, “Your eye shall not pity him, but you shall purge the guilt of innocent blood from Israel, so that it may be well with you” (Deuteronomy 19:13 ESV). Swift, impartial judgment is called for here. In Acts 25, when Paul was brought before Festus, the Roman governor, Paul offered no protest to the possibility of the death penalty being carried out on him, were he found to be guilty of a crime worthy of capital punishment (Acts 25:11). In other words, Paul did not question Festus’ right to administer the death penalty as an official representative of Rome. “Let every person be subject to the governing authorities. For there is no authority except from God, and those that exist have been instituted by God. Therefore whoever resists the authorities resists what God has appointed, and those who resist will incur judgment. For rulers are not a terror to good conduct, but to bad. Would you have no fear of the one who is in authority? Then do what is good, and you will receive his approval, for he is God’s servant for your good. But if you do wrong, be afraid, for he does not bear the sword in vain. For he is the servant of God, an avenger who carries out God’s wrath on the wrongdoer” (Romans 13:1-4 ESV). Proponents of the death penalty see the phrase, “for he does not bear the sword in vain” (v. 4) as giving the ‘governing authorities’ (v. 1) the right to carry out capital punishment. Others, who oppose the death penalty, do not read the passage that way. They point to the fact that this passage says that the ‘governing authorities’ are to enforce punishment on ‘bad conduct’; but what happens when these ‘governing authorities’ no longer have a correct idea of what constitutes ‘bad conduct’. Does the ‘governing authority’ still carry the approval, and authority, of God? Even if Romans 13:1-4 gives the state the right to execute certain criminals, it is not commanding the death penalty be carried out; only permitting the ‘authorities’ to do so as they deem appropriate. The passage certainly does seem to be giving the ‘governing authorities’ the right to deal punishment for ‘bad conduct’ (v. 3). The Mosaic laws concerning the application of capital punishment were given, by God, to govern His chosen people, Israel. Those laws were laid out to be exercised within a theocracy [government by divine guidance] by a people who were led by God. We must sort out how those God-given instructions apply to us today. Can we confidently say that the American, never mind the world, justice system is listening to God? Are they careful to listen for God’s leading and are they diligent to obey His will? There certainly have been instances of people being executed whose guilt was seriously called into question at some later date. However, once the death penalty has been carried out, it cannot be reversed. When I began writing this article, I had already decided which side of the argument I supported (I will leave it a mystery) but, as I researched the biblical evidence, I realized that I was not as firmly convinced in my belief as I thought I was. I know emotions run high around the issue of capital punishment; however, I pray that many will set aside personal feelings to investigate how God would have us see this issue. Personally, I must continue to allow God to mold me concerning this issue. For now, let me conclude with these thoughts. Even if we believe that the death penalty has biblical support, we must see that it is carried out for the purposes of justice, never revenge. The New Testament is clear on this point, “For we know him who said, ‘Vengeance is mine; I will repay’” (Hebrews 10:30 ESV, see also Deuteronomy 32:35; Proverbs 20:22; Romans 12:19-20). We need to remember also, that we were all under the death penalty for our sin, until Jesus came and paid for our forgiveness by His death on the cross. Ultimately, each of us must come to a decision about whether we should support or oppose capital punishment based on a careful, and prayerful, study of God’s Word. We may be asked to vote on it someday. Let each of us be aware of the responsibility we carry for taking seriously and soberly how we evaluate this issue and how we influence others thinking about it. Let each of us be fully convinced in his or her own mind (Romans 14:5). Take a look at another of Robert’s articles: What Are Christians Saved From? I noticed the different undertones from the beginning of your post to the end. There was definite equivocation surrounding your conflict with the notion of “bad conduct”. I wish there was greater room for expansion, by you, upon that thought. I realize your space is confined by this format. Even after the Christian “decides” where they stand upon the capital punishment question, there is the practical application in the US of the same. Capital punishment, in a word, is a mockery in our “justice” system. As most know, the appellate process, can last for 20+ years, while prisoners wait for execution. The average length of time between sentencing and execution is 178 months or almost 15 years(2011). Even if you are a capital punishment proponent, the cost to the taxpayer of the appellate process, the burden upon the aggrieved’s family and yes, upon the death row inmate, is untenable in the current US justice system. Always interesting posts from you. Maybe I can clarify my ‘bad conduct’ comment a bit. I don’t think our society, government, etc. has a Godly, biblical sense of what constitutes ‘bad conduct’ anymore. Oftentimes, I’ve seen gross immorality being accepted as normal, while Christians have been ruled against simply for standing up for clear biblical principals. I do not think a government of this caliber is capable of correctly administering capital punishment. Then, if we add all the points you quite rightly pointed out, it makes a case for capital punishment even less reasonable. Thanks for your input, Doc. Always a pleasure. This is a tough issue, and as a Christian, I really dont know. Was it right to execute Saddam Hussein? It is so hard to be objective. In the OT it was clear cut for the Israelites. But we are no longer under the Law. We all were under the penalty of death until Jesus paid the ransom on the cross, for those who put their trust in Him. I know in Europe there is no longer capital punishment, OK in Britain it still exists in theory, but is not practised, though there are many who would like it brought back. How do the American people view this? Have there been any recent polls? I would appreciate other views on this. You always have an interesting take on these issues. I believe the death penalty could be an appropriate thing if, and only if, every person involved in the decision to execute (or not execute) was a committed Christian who sincerely submitted to God’s will. However, I know this is not the case, so I don’t know where I stand on the issue. As I said in my article, more prayer, study, and contemplation is necessary on my part to (possibly) come to a conclusion. Oh well, I never said I knew everything…ha…ha…ha. God bless you David. Another fine article w/Scriptures, my dear brother!! Also appreciated DocReits’ and David’s comments!! Now I favor life in prison as he/she may turn to God, get to know & love Jesus, and accept Him as his/her Savior!! How many prisoners have done so, became a NEW CREATION through JESUS!! HALLELUJAH, AMEN!!! God’s wonderful blessings & His graces be showered upon you, Robert, and your family!! Previous post: Can Our Loved Ones See Us From Heaven?